7 Beatiful Golden Retreivers looking for loving homes. 2 Males and 5 Females. Colors range from off white to tan. These puppies have been living with 2 adults and 6 children and been constantly handled with alot of love and attention. These puppies will be available to great homes as of Feb 14, . Puppies will be given first shots, and dewormed. These Puppies make amazing family pets and are great with children. 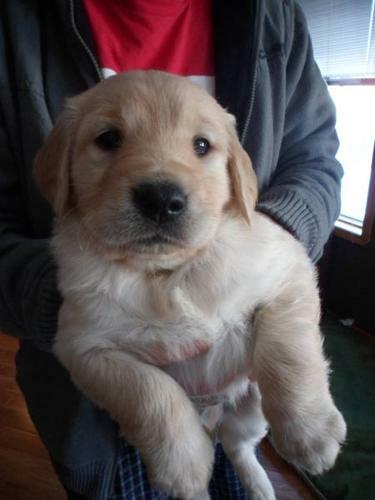 A $200 deposit will get you a pick of a puppy.